While Charleston frequently receives recognition as a top national and global visitor destination in the world, it has developed a reputation as a burgeoning tech and creative hub, largely driven by the twenty and thirty somethings who place a premium on place, continuing education and livability. 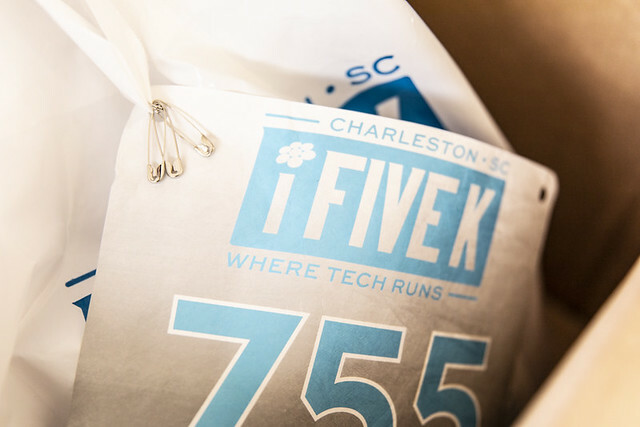 At the Charleston Digital Corridor, our recipe is simple – take one of the best business climates in the country, leverage all relevant resources and then, layer on a set of targeted, value-oriented services to help tech businesses thrive. Charleston, first settled in the late 1600s, is experiencing a twenty-first century renaissance. Spend a weekend here and you will be hooked. Need assistance, guidance? Contact Executive Director Ernest Andrade, your personal "Business Concierge." SC ranks 6th best in gender equality in the tech industry. The Charleston-North Charleston metropolitan area ranks #16 on the 2018 Milken Institute Best-Performing Large Cities Index, a ranking of U.S. metropolitan areas by how well they are creating and sustaining jobs and economic growth. The ranking is 5 spots higher than the ranking of #22 in 2017. Charleston ranks #1 best small city in the U.S. for the 8th consecutive year. Mount Pleasant, SC ranks #25 on list of best places to live. Charleston ranks #10 best city in the world. Charleston ranks top city in the U.S. for the 6th year in a row. Charleston ranks #4 best small city in the US. Charleston ranks #6 best city with highest livability score. Charleston, SC ranks 4th in Best Places to Start a Career. Charleston ranks 3rd in most prosperous cities in the U.S., with North Charleston ranking 5th. Charleston ranks 11th for inclusive growth. Charleston ranks #27 of 100 Best Places to Live. Charleston ranks on list of coolest small cities. Charleston ranks #16 (out of 100) in share of jobs in high digital skill occupations. Charleston Ranked #1 Best City in the US, for the 5th consecutive year. We ranked all 421 current metropolitan statistical areas based on employment data from the Bureau of Labor Statistics from 2005 through 2016. Rankings are based on recent growth trends, mid-term growth, long-term growth and the region's momentum. We also broke down the rankings by size since regional economies differ markedly due to their scale. For our midsize cities list, we ranked the 98 MSAs that each have between 150,000 and 450,000 jobs. Charleston in top 11 for achieved growth, prosperity, and inclusion that benefited a majority of workers of all races and ethnicities. Charleston Named "Best City In The World"
Charleston, SC ranks #8 on the list of "sneaky-great cities for tech that offer fast-growing businesses, strong fundamentals and affordability – without the cutthroat competition of the big-name startup hubs." Charleston ranks #19 Best Place to Live by U.S. News. To make the top of the list, a place had to have good value, be a desirable place to live, have a strong job market and a high quality of life. Charleston ranked #12 in the country for first fundings - This rank takes into account the population of the region and normalizes it against the nation as a whole. Nationally, over a five year period Charleston's relative high-tech GDP growth moved up from #5 to #4. Pollina's Corporate's annual 50-state ranking indicates how well each state has positioned itself to retain and create jobs; in the 2014 report, South Carolina ranked #9 out of the Top 10 Pro-Business states. Charleston took home Travel & Leisure's top honor for favorite North American travel destination and 2nd best in the world due to its inviting hotels, excellent dining, and unique historical attractions. In a report on Foreign Direct Investment (FDI) in US Metro Areas, Charleston ranked #9 for Metro Areas in which Foreign Owned Enterprises (FOEs) account for the largest share of private employment. Among the 379 metropolitan statistical areas (MSAs) surveyed across the United States, Charleston ranked 22 among the "Leading Locations for 2014" that are poised to capitalize on economic and work force growth. Five measures of growth were used to rank 398 metro areas across the United States; Charleston ranked #17 among the 92 "midsize" (ranging from 150,000 to 450,000 jobs) best cities for job growth. Of the 117 cities surveyed across the United States, Charleston ranked #2 of the Most Exciting Mid-sized Cities (defined as 120,000 to 210,000 residents). Ranking criteria ranged widely from the number of live music venues per capita, to the number of parks, to the percentage of young residents aged 20 to 34. South Carolina ranked among the Top 10 states in the US that have experienced success in creating conditions that enable residents to achieve their "American Dream", particularly in regards to areas such as job environment, job benefits, material prosperity and financial security. Charleston ranked #11 in the Best-Performing Cities index, which shows where jobs are being created and sustained in metro areas across the U.S (particularly in measures of job, wage, and technology performance). In the feature "Silicon America", Charleston was named as one of the "most active" IT and innovation areas in a map of tech hubs across the United States. In Chief Executive’s ninth annual survey of CEO opinions of "Best" and "Worst States" in which to do business, South Carolina was ranked #8 Best State (out of the 50 US states) for doing business. Out of 30 cities in the United States, Charleston was voted #3 of the Best Cities for a new company to open shop based on local resources, culture, atmosphere and overall appeal to young entrepreneurs. Charleston was ranked #9 out of the 25 Top large metro areas for the 2012 Best-Performing Cities index, which includes measures of job, wage, and technology performance to rank the nation's 200 large metropolitan areas and 179 smaller metro areas. The Charleston region outpaced major metros such as Dallas, New York and San Francisco in employment, output (GDP) and housing growth to achieve a #9 ranking for job recovery among the 100 largest U.S. metro areas. The Honeywell AirGenius Awards judged 100 U.S. cities based on airborne pollen levels, particulate air pollution and smoking regulations; Charleston ranked #9 out of the Top 10 Cities with the Cleanest Air in the US. Charleston ranked #2 among 10 Best Downtowns in US, as a place that offers excellent amenities and a high quality of life. While Charleston has claimed honors as being voted the top city in the US for two years in a row (2011, 2012), it has also been ranked as the #1 destination of the "World's Great Cities" by Conde Nast Traveler's readers. South Carolina's strong business and labor climate propelled the Palmetto State to the #2 overall spot in the Top States for Doing Business Index, up from a fourth ranking in 2011. Charleston was recognized among the "100 Best Communities for Young People" in the United States, a competition that spotlights communities that demonstrate a cross sector support and lasting commitment to youth development through innovative programs and services throughout the community. Charleston ranked 2nd among Area Development’s Top 20 South-Atlantic Cities, as one of the 100 "Leading Locations" across the US. In a period when the national unemployment rate had just grown to 8.2%, this survey indicates the Best and Worst Cities for getting a job in the summer of 2012. Charleston ranked #4 nationally, with a net employment outlook of 24%. Charleston ranked #11 among the Top 25 Large Metro areas of the 2011 Best-Performing cities Index. Charleston was voted the #1 Best City in the World by Conde Nast Traveler Reader's Choice Award. Charleston is included among a list of US cities experiencing "Brain Gain" in regards to increased educational attainment in metropolitan areas. Charleston was voted one of the 19 Best Towns (to visit and live) in the US, based on factors such as affordable homes, solid job prospects, and vibrant nightlife. Charleston was ranked #8 out of 90 Medium-sized Best US Cities for Job Growth, a measurement that emphasizes the robustness of a region's growth both recently and over time. Charleston came in 3rd on a list of the nation’s 100 largest metropolitan areas that offer the best climates for small businesses. Charleston was named one of America's Favorite Cities out of the 35 US cities ranked by residents and visitors for their culture, shopping, restaurants, nightlife. Based on population, employment and small business growth, Charleston is named #4 of the most vibrant US metropolitan areas. Charleston Ranked a "Top City"
Charleston Ranked one of the 10 best small "Adventure Burgs"
Chucktown is affordable (median home price, $235,000) and small (pop. 110,000) but comes with the vitality of a metropolis, thanks to its kaleidoscopic heritage and a happening downtown. Charleston ranked 11th among 405 small cities as a sustainable community - one that can continue in a healthy way into an uncertain future. Charleston is recognized as the #1 most livable city in the US. Charleston is ranked among the top 25 best housing markets in the US. Charleston is ranked #10 for job creation among mid-sized metros. Charleston is named one of "the 50 next great adventure towns"
Charleston is ranked #6 among the nation's mid-size cities. Charleston recognized as one of the Top 20 Midsize Cities in the US. Charleston metro area ranked #2 among top mid-size metros and the State of South Carolina ranked#5 nationally. Charleston metro area among top 20 percent in the US. Charleston region ranked #12 among midsize metros in the US. Charleston region listed among top 25 largest metros in the US. Charleston metro area ranked #4 among top mid-size metros. Charleston is ranked among top 10 cities in the US. Charleston metro area ranked #32 in the US. Charleston metro area listed among top 50 in the US. Charleston ranked #40 out of the Top 50 in the US. South Carolina has a reputation as a superior business location largely due to an exceptional economic climate that helps companies hold down operating costs and increase return on investment. In addition to business incentives by the State of South Carolina, the Charleston Digital Corridor provides tech and tech-related companies a host of high value services that stay with the company throughout the different stages of growth. The availability of an abundant, stable and competitive business infrastructure is the vital underpinning of Charleston's tech community. Businesses operating in the Digital Corridor benefit from reliable and competitive business services and transportation infrastructure provided by a host of recognized local, national and international service providers. The Charleston Digital Corridor is pleased to facilitate business services for start-ups, expanding tech and tech-related companies, as well as companies seeking to expand or relocate to Charleston. Charleston is easily accessible from anywhere in the world. Due to increased demand, the Charleston International Airport is in the midst of a major expansion to accommodate their expanding flight schedule. Charleston is served by eight airlines offering non-stop flights to twenty-five major national cities. The Charleston region is also home to six executive airports to accommodate corporate and personal aircraft. The Charleston region has 19 digital switching offices. Instant rerouting ensured by dozens of fiber optic SONET rings. Fiber connections are available to major buildings, ensuring continuous communications. More than 90% of the region's telecommunications lines are buried. Communication services include OC3 to OC 192 capabilities; Gigabit Ethernet Services; Fully Managed Services and Multi Protocol Layer Switching. Talent is the currency of the 21st century. Business and community leaders in the Charleston region understand the critical role education plays in advancing a knowledge economy. From pre-kindergarten through doctoral level studies and even, computer code schools, Charleston is committed to providing the best educational opportunities possible. Educational attainment in the Charleston region is higher than in the United States overall. In fact, US Census Bureau ranks Charleston among the top 15% of all U.S. metropolitan areas in terms of the proportion of residents holding advanced degrees. For additional information on area public and private schools, visit the South Carolina Department of Education. Recognizing that the demand for talent by Charleston tech companies has outstripped the supply, Charleston is home to two computer code schools – CODEcamp and Iron Yard Academy. CODEcamp is a community-sourced training program offered by the Charleston Digital Corridor Foundation to provide instruction in open source Web and mobile technologies. The Iron Yard Academy (Charleston) teaches intensive, three-month courses that mentor students into a professional junior-level programmers. Charleston's historic architecture is just the beginning. Like other vibrant historic peninsular cities – think Manhattan, Boston and San Francisco - Charleston has award-winning restaurants, a lively arts & cultural scene, and fashionable boutiques. One big difference: Charleston offers the perfect scale and civility for the human experience and some of the most friendly people in the country. Today, Charleston has been discovered as a national and global destination for business and talent, where young entrepreneurs, established professionals, growing families, college students, and retirees can all thrive and come together.